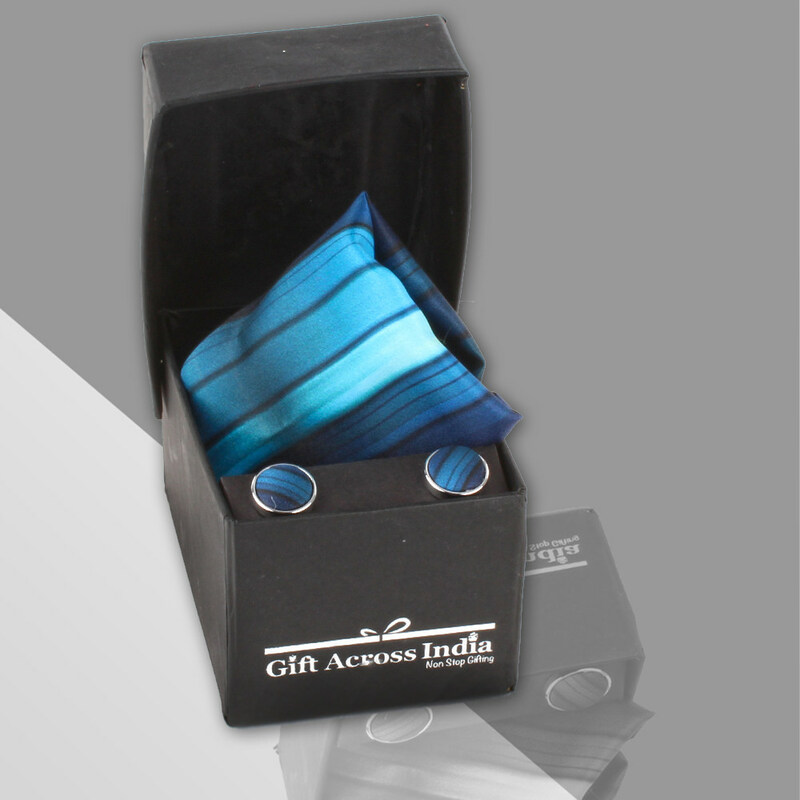 Product Consists : Polyester Shaded Blue Strips Handkerchief and Cufflinks with a Box. Mens hamper set, which is a perfect gift for your husband,father,brother and many more on his birthday,anniversary or to make his day more memorable. 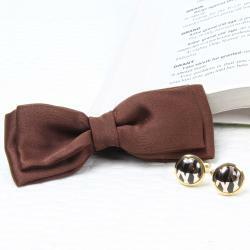 This attractive combo for men comprises a pocket square Handkerchief and a pair of round shaped cufflinks. The all items are made from a good brand stuff, which makes this combo superior in quality and a valuable pick. Gift set for men in all special occasions. Shaded Blue Strips Handkerchief and Cufflinks is one of the best combination which is mostly used in wedding and parties. It give a charming look on our special ones in any occasion. 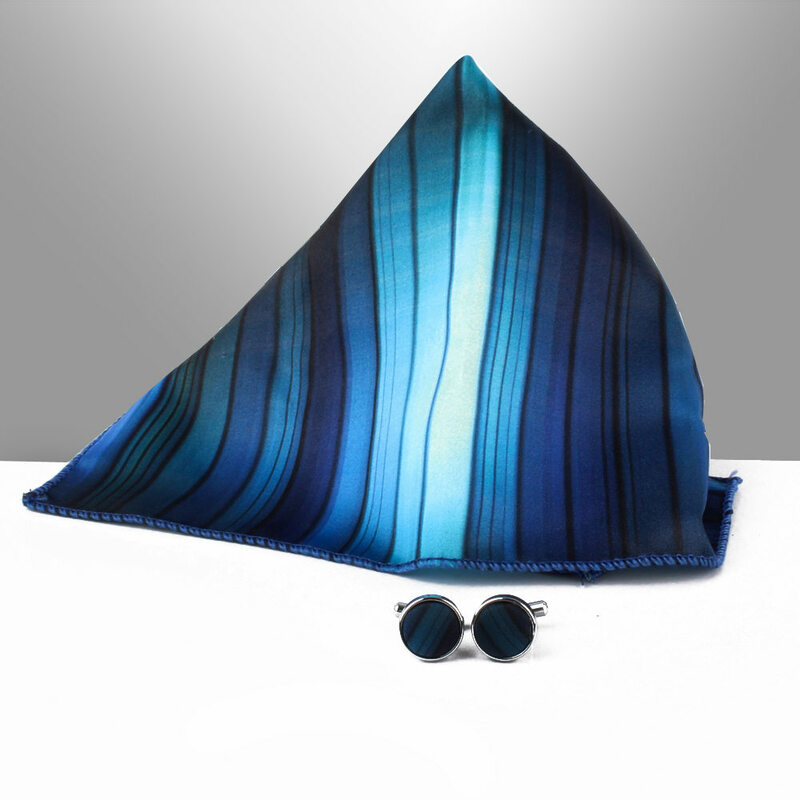 Shaded Blue Strips Handkerchief and Cufflinks is the best for gifting to special one. 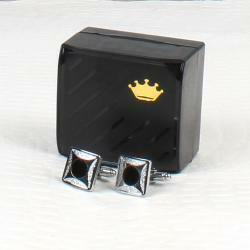 Cufflinks is covered in a design with a silver round frame. This gift is very usable for a husband, brother, boyfriend or for any Men who you love the most. 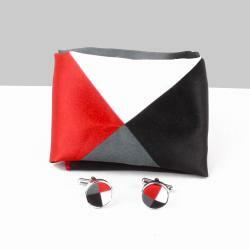 They get ready easily for any party or any casual meeting with this gift set also it can be wear for a egular purpose. Product Details : Polyester Shaded Blue Strips Handkerchief and Cufflinks in a Box.